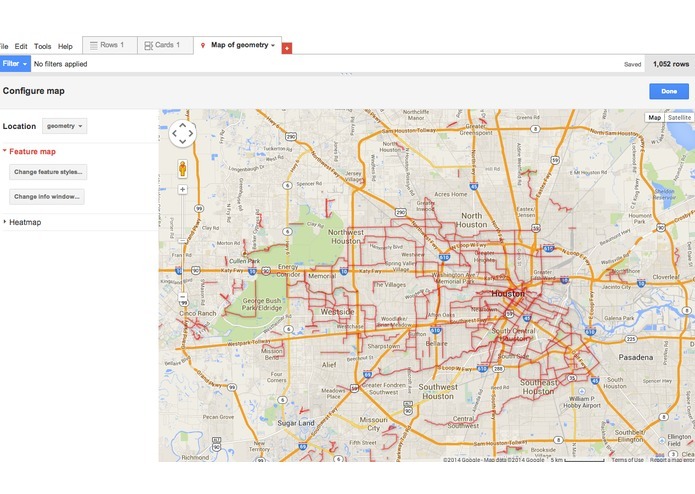 This is a simple map of bike routes in Houston ported into Fusion Tables. Future Plans Build Simple Web/mobile interface. Build Mobile app for tracking rides Expand to other cities across the state.